On an island of knights and knaves, knights always tell the truth, knaves always lie, and everyone is either a knight or a knave. There are inhabitants denoted by A, B, C, …. 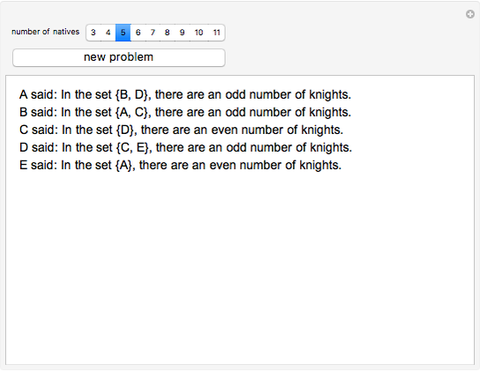 Each one makes a statement about the number of knights in a set. 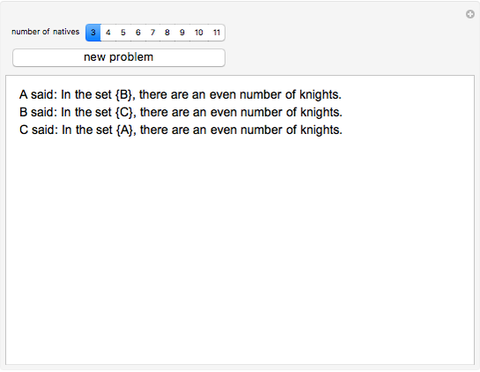 (The set is the empty set with zero knights.) Their vocabulary is rather limited; generally they talk about even and odd numbers. Show that the statements are inconsistent! 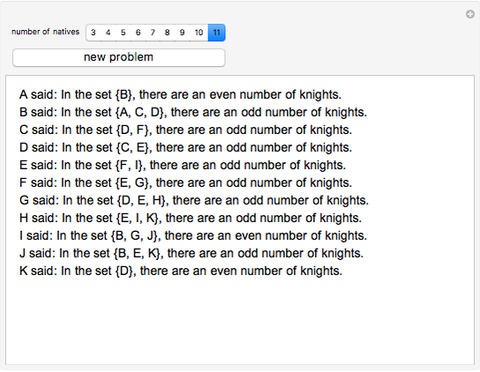 Izidor Hafner "Inconsistent Sets of Statements from Knights and Knaves"